While the Z06's performance numbers can be tempting, a Stingray with the Z51 package and Magnetic Ride Control makes just as good a grand tourer and holds its own at the occasional track day. The 2016 Chevrolet Corvette's exceptional performance, style, comfort, and features, as well as its choice of high-power engines and body styles, adds up to an impressive sports car and grand tourer in one—and a car that won't break the bank. America's sports car continues into 2016 with a choice of four models—two engines, each available in coupe and convertible bodies. From a base Stingray to a supercar-baiting Z06 convertible, you’ll find the Corvette range to offer some of the very best bang for the buck in the industry. The seventh-generation Vette's styling has gone in a new direction while taking advantage of familiar themes, both inside and out. Sharp lines, crisp angles, and vents aplenty give a definite supercar air to the design that matches the car’s performance. It’s wide, low, and looks fast even when standing still. Inside, the Stingray’s design is much improved over the previous generation of the Corvette, with a refreshing and surprisingly luxurious look. The Z06 adds to the Stingray's exterior and interior design with wider fenders, an array of aerodynamic add-ons, and a performance-themed cabin treatment. Under the hood of the Chevy Corvette Stingray is the latest performance small-block, a 6.2-liter LT1 V-8 generating 455 horsepower and 460 pound-feet of torque. The Z06 ups the ante with a supercharged LT4 V-8 displacing 6.2 liters and related to the LT1 that's rated at 650 hp and 650 lb-ft of torque. A 7-speed manual is standard with both engines, offering an automatic rev-matching downshift function that was enhanced for 2015. Another addition last year was an all-new, in-house-designed and built 8-speed automatic with steering wheel-mounted paddle shifters. And the 2016 Corvettes continue to spit out eye-popping performance numbers. The Stingray's 455-hp V-8 offers plenty of push to accelerate the car, hitting 60 mph in just 3.8 seconds with the manual—or 3.7 seconds with the 8-speed automatic. 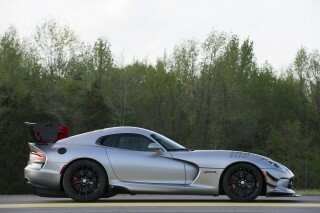 Quarter-mile times are a mere 11.9 seconds with the automatic or 12.0 with the 7-speed manual. 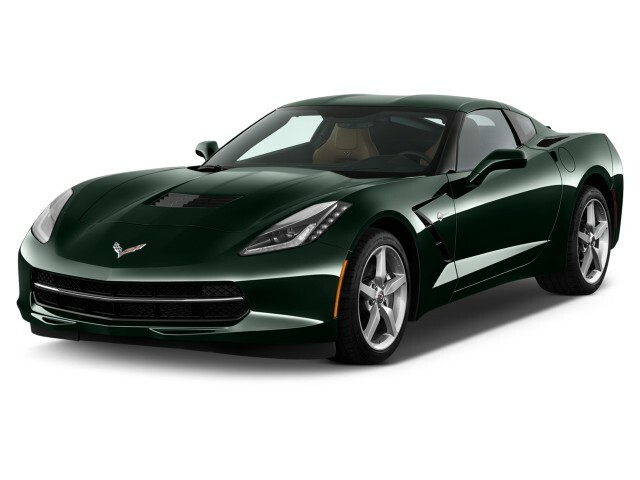 Whether tackling the straights or the curves, the Stingray offers ample performance, with surprising grip, nimble reflexes, and a great deal of communication through the seat, pedals, and steering wheel, all of which inspires driver confidence. A Z51 package is available to further enhance the Stingray’s performance, with modified aero, lighter wheels, and bigger brakes among its features. In Z06 trim, the manual car can click off 3.2-second 0-60 mph runs, while the automatic is even quicker, clocking in at an astounding 2.95 seconds. The 'Vette's Performance Traction Management system keeps the car balanced and easy to control even near the limit with Track mode (and the Race sub-mode) engaged. The Stingray can be a bit harder to control with all of the aids off, though it still exhibits remarkable poise and balance. In fact, the Corvette Stingray can realistically run with sports cars costing twice its price. The interior of the 2016 Corvette carries forward the substantial upgrades made for the C7's 2014 debut. Improved materials, more modern design, and significant new technology such as the Drive Mode Selector and latest-generation Chevy MyLink infotainment help bring the Corvette on par with European and Japanese offerings in the highly competitive, but relatively low-volume super sports car segment. All Corvette trims get a fully wrapped interior, where every surface is covered with premium, soft-touch materials. Available materials, depending on the trim level, include Napa leather, aluminum, carbon fiber, and micro-suede. 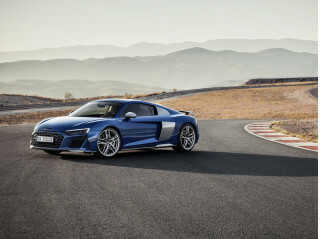 Customers also have two seating choices: a regular GT seat and a Competition Sport seat with more aggressive side bolstering for greater support on the track. Even during longer driving sessions, the Corvette's new GT seats are comfortable and supportive, despite the low-slung nature of the cabin. The available Competition Sport seats are extra-supportive, although they may not be to the liking of folks with all body types—a trial fitting is recommended before placing an order. Leg and head room are good even for those over six feet tall, and, as with the last Corvette, there's plenty of room for a weekend's travel in the rear hatch or the convertible's trunk. Thanks to a well-designed aluminum body structure, the Stingray and Z06 convertibles avoid the dreaded cowl shake that often accompanies a coupe that's had its roof sawed off. These drop-top models manage to offer the same level of ride-and-handling prowess as their coupe counterparts since the C7 was designed as an open-top roadster from the start. And the automatic soft-top arrangement, which will operate at speeds of up to 30 mph, is tight-fitting and doesn't block too much visibility when it's up. Neither the NHTSA nor the IIHS have crash-tested the Chevy Corvette in recent years, but a rigid chassis, a full complement of airbags, plus stability and traction control, and the Corvette's innate grip and handling should make it relatively secure in emergency situations. For 2016, both Stingray and Z06 coupes and convertibles receive several feature enhancements, additional options, and available design packages to keep things fresh. 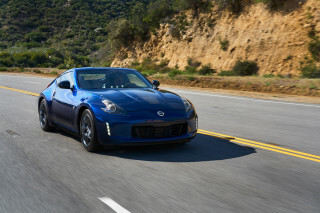 New exterior colors include Corvette Racing Yellow and Long Beach Red Metallic, which replace Velocity Yellow and Crystal Red from the previous model year. The three design packages are the Spice Red, Twilight Blue, and Jet Black Suede, each with an interior in the hue denoted by their name along with many unique exterior details like painted trim, stripes, wheels, and different top colors for convertibles. The latches on convertible trunks and coupe hatches all get a power-cinching feature to pull them down, steering wheels get a flat-bottom design, and a new front curb-view camera will be available. Chevy is also offering Magnetic Ride Control on Stingrays without the Z51 package and will include the Z51 wheels and rear spoiler on those cars. The Z06 will be offered in a limited-run C7.R Edition package, painted Corvette Racing Yellow and trimmed to resemble the brand's eponymous race cars; 500 will be built in a mix of coupes and convertibles. The 2016 Corvette Stingray continues on with its solid-for-a-sports-car fuel economy, scoring 17 mpg city, 29 highway, 21 combined with the 7-speed manual; the paddle-shift 8-speed automatic is nearly as efficient, rated at 16/29/20 mpg according to GM. The Z06 is understandably less efficient, at 15/22/18 mpg with the stick, and 13/21/16 mpg with the 8-speed auto. Both transmissions have wide ratio spreads and tall top gears for greater highway mileage, and cylinder-deactivation technology also helps conserve fuel in low-load situations. The 2016 Corvette Stingray wears 21st century lines, with some retro curves—and it's a design like no other. The Chevy Corvette is an icon, America's sports car for the past five decades. Few cars have such long histories or are as instantly recognizable in all their forms as the Corvette. While some may see the newest shape as a break with tradition, there's no denying that it is attention-getting and well-liked by those passing and giving it honks and thumbs-up. It hasn't all been triumphs over those 50-plus years, though. The second generation's dapper look grew into an indictment of Malaise Era styling and smog regulations in the third generation. The fourth generation fell into plainer realms that the fifth replaced with sleek smoothness, while the sixth-generation car started with a fresh look that, while not quite aged by the end of its run, didn't hold up as well as expected. For the seventh-generation car, the Corvette's look has evolved into a high-tech, vents-and-creases theme that, to some eyes, is just as good as the original Sting Ray's. This one was built for descendants of the computer age, rather than "Mad Men." There are a lot of details on these cars, and they have to be viewed together to be understood. Taken as a whole, you get the long, low hood, steeply swept windshield, and bluff rear end that has come to define the Corvette's proportions. Each is a confluence of smooth curves and sharp creases, planes that intersect and warp. It's a high-tech—almost exotic—design theme that somehow still transmits the car's classic DNA. The C7 Corvette's interior look has also been upgraded. Gone is the plasticky kit-car-like cabin of the previous model; the Stingray and Z06's interiors are fully wrapped, even in their most basic forms, and can grow into true luxury accommodations in the higher trim levels. The shape of the center stack and instrument panel is driver-focused and simple, but with a high-tech touch that makes it clear that the Corvette Stingray is all about performance. A carbon-fiber instrument panel surround looks like it comes from a six-figure supercar; suede and rich leather trim and upholstery are available, with deep colors that speak of designer influence. For 2016, both Stingray and Z06 coupes and convertibles receive several additional options and available design packages to keep things fresh. New exterior colors include Corvette Racing Yellow and Long Beach Red Metallic, which replace Velocity Yellow and Crystal Red from the previous model year. The three design packages—Spice Red, Twilight Blue, and Jet Black Suede—each feature an interior in the hue denoted by their name along with many unique exterior details like painted trim, stripes, wheels, and different top colors for convertibles. Steering wheels get a flat-bottom design, and an available carbon-fiber hood brings a visible weave section. The Z06 will be offered in a limited-run C7.R Edition package, painted Corvette Racing Yellow and trimmed to resemble the brand's eponymous race cars; 500 will be built in a mix of coupes and convertibles. The 2016 Corvette Stingray is a performance-value benchmark that's seriously fast and incredibly fun. At less than $55,000 delivered, if there’s a better performance value than the 2016 Chevy Corvette Stingray with the Z51 package, we don't know what it is. With standard output of 455 horsepower (or 460 hp with the performance exhaust option), the Stingray's LT1 6.2-liter V-8 provides ample power, and does it willingly. 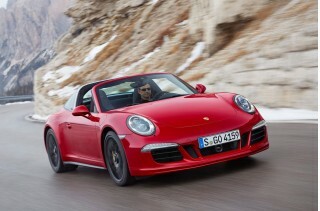 Likewise, it makes all the right sounds, and it mates very well with the 7-speed manual. The Stingray's V-8 has plenty of push to accelerate the car, hitting 60 mph in just 3.8 seconds with the manual—or 3.7 seconds with the 8-speed automatic. 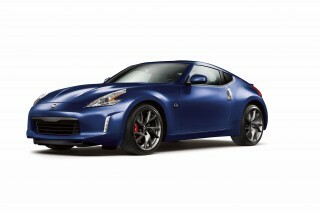 Quarter-mile times are a mere 11.9 seconds with the automatic or 12.0 with the 7-speed manual. The Z06, new for 2015, brings a supercharged 6.2-liter LT4 good for 650 hp and 650 lb-ft of torque. With the manual, it can click off 3.2-second 0-60 mph runs, while the automatic is even quicker, clocking in at an astounding 2.95 seconds. The automatic available on both cars is a GM-designed and built 8-speed automatic with shift paddles that Chevy says beats Porsche’s PDK shift times by 80 milliseconds—a relative eternity in the land of performance transmissions. In our time driving the car on the street and the track, we've found that the 8-speed does a remarkable job whether clicking the paddles manually or letting the computer figure out which gear is best—and it doesn’t feel in any way slower than the manual. All of that power, plus an electronically actuated rear differential (in Z51 cars and the Z06) mates impressively with the new aluminum-intensive chassis and suspension setup, particularly when configured with the adjustable dampers. Add to that Chevy's latest Performance Traction Management system, and the Corvette is bred for performance—that is, speed in the curves as well as the straights. Flat cornering, over 1g of lateral grip, and surprisingly accurate and feedback-laden electric power steering combine to yield truly addictive driving traits for the enthusiast. There's an experience to driving the new Corvette, just as there should be with every long-running, history-rich sports car family. If you're considering a Corvette Convertible, don't be afraid of compromised performance. 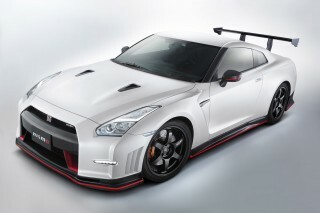 In fact, don't be afraid of stepping up to the track-ready Z51 or crazy Z06. The C7 Corvette was engineered as a roadster to begin with, so you won't be sacrificing any structural integrity. 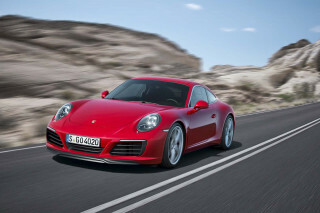 Even the coupe, with its removable roof panel, is more rigid than the previous-generation car. At the end of the day, the C7 Corvette runs with cars that cost twice its price or more, while mostly hiding its cost-savings in other areas. Satisfying materials and solid build quality, plus a well-designed cabin in general make the 2016 Stingray a pleasant place by today's sports-car standards. The C7 Corvette has righted many of the wrongs of generations past, with the lion's share of those improvements found on the interior. It is now a very hospitable place, finished in much nicer materials and filled with modern technology. Even in out-of-the-way places, the materials are very good, with soft-touch surfaces at almost all interface points. The interior's style is sharp and modern without being annoyingly avant garde. Touches like the passenger climate controls integrated into the outboard vent or the available carbon-fiber center-stack surround elevate this from a workaday sports car to grand-tourer status. The driver’s seat is highly adjustable, and the tilting/telescoping steering wheel makes it easy to find a comfortable driving position for a wide range of body types and sizes. Contortions are no longer required to reach and interact with the shifter on manual models, no matter where you place the seat. Hip, head, and leg room are all good enough even for those a bit over six feet tall (and cresting the 200-pound mark). The steering wheel is comfortable and fairly small in diameter, making room in the Corvette's snug-but-not-tight cabin; for 2016, it keeps its small diameter but adopts a flat-bottom design. The standard GT seats are surprisingly comfortable despite holding occupants in place well, and upgraded Competition Sport seats with more race-inspired form and function are available for those who’d like yet more secure positioning for spirited driving. The convertible offers a tight-fitting automatic top, which requires no additional lock at the top of the windshield, allowing you to raise or lower the top at speeds of up to 30 mph—not that you'd want to, but we appreciate the flexibility. Wind buffeting isn't as well-managed as in some touring convertibles, but it's not bad either. A dealer-installed windblocker makes a meaningful improvement. The 2016 Corvette has space for your things, too. The real magic, as before, is how the coupe makes use of the large, flat cargo area under the rear hatch. It holds a surprising amount of luggage or other cargo, and makes the Corvette a rather practical option for a two-door, two-seat sports car. Convertible models offer a smaller but still adequate trunk. In the cabin, there are a few cubbies and boxes for smaller items; even the navigation screen has a James Bond-esque hidden compartment behind it with a plug-in jack for your phone. The 2016 Corvette Stingray has a solid set of safety features—and some options that add to driver awareness. Because of its higher-priced, lower-volume status, the C7 Corvette Stingray and Z06 have not been crash-tested by either the IIHS nor the NHTSA. They're not likely to be anytime soon, either, but they offer a good complement of passive and active safety features that should help keep occupants safe in the event of an accident. All versions of the 2016 Chevrolet Corvette are built around a strong aluminum structure. Each comes with standard frontal- and side-impact driver and passenger air bags, six months of OnStar support, a backup camera, daytime running lights, and steering-wheel infotainment controls to improve both passive safety and driver attentiveness. The standard Chevy MyLink infotainment setup also includes Bluetooth for hands-free phone calls. An optional head-up display projects information and performance data onto the windshield, with the aim of keeping the driver's eyes on the road. For 2016, a new front curb-view camera will be made available on upper trim levels of both the Stingray and Z06. If your focus is technology or luxury, you can add to an already strong fearture set. The 2016 Chevy Corvette is available as the base Stingray or top-dog Z06, and both are offered in coupe and convertible bodies. All are well-equipped in base form, but there are a number of upgrade paths and stand-alone features for those desiring specific improvements in technology and appearance. For 2016, the appearance options get a big boost. New exterior colors include Corvette Racing Yellow and Long Beach Red Metallic, which replace Velocity Yellow and Crystal Red from the previous model year. The three design packages are the Spice Red, Twilight Blue, and Jet Black Suede, each with an interior in the hue denoted by their name along with many unique exterior details like painted trim, stripes, wheels, and different top colors for convertibles. The latches on convertible trunks and coupe hatches all get a power-cinching feature to pull them down, steering wheels get a flat-bottom design, and a new front curb-view camera will be available on 2LT and 3LT trims. Chevy is also offering Magnetic Ride Control on Stingrays without the Z51 package and will include the Z51 wheels and rear spoiler on those cars. The Z06 is being offered in a limited-run C7.R Edition package, painted Corvette Racing Yellow and trimmed to resemble the brand's eponymous race cars; 500 will be built in a mix of coupes and convertibles. The standard-feature set is extensive: dual-zone automatic climate control with air filtration system; an 8.0-inch color touchscreen panel for infotainment control; SiriusXM Satellite Radio; keyless ignition; a rearview camera; Bluetooth streaming audio; USB and SD car inputs; an auxiliary input jack; an auxiliary power outlet; cruise control; and a leather-wrapped three-spoke steering wheel are includes across the Stingray and Z06 ranges. Among the headline optional features for the Corvette Stingray and Z06 is the Performance Data Recorder system, which not only records audio and video with a data overlay of key performance and vehicle parameters, but also can record audio and video while the car is being valeted, to help ensure the security of your precious sports car. For those seeking more luxury or equipment, the 2LT and 3LT interior packages add color and material upgrades to the upholstery; an available Bose 10-speaker audio system; SiriusXM with HD Radio; upgraded competition sport bucket seats; a sueded microfiber-wrapped steering wheel; a custom luggage set; memory-function eight-way power adjustable seats; satellite navigation; and many aesthetic and comfort options. Z06 cars come in 2LZ dress from the start, which is similar to 2LT, while the Stingray offers a base 1LT level. 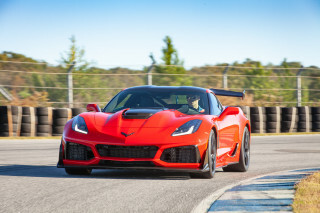 Performance upgrades for the Stingray include the Z51 package, a roughly $2,800 option that adds upgraded brakes and dampers, stiffer springs and anti-roll bars, an electronic limited-slip differential, a dry-sump oil system, unique wheels, and upgraded cooling for the differential and transmission. Also included with the Z51 package is a set of aerodynamic upgrades. Adjustable ride control settings are available with the Magnetic Selective Ride Control option, enabling various levels of ride comfort and performance. For 2016, the magnetic ride suspension is available without the Z51 package and comes bundled with the Z51's rear spoiler and wheels. The Z06 can be cranked to 11 with the Z07 package, which combines Brembo carbon-ceramic brakes, adjustable front and rear aero components, and Michelin Pilot Super Sport Cup 2 tires for a true track-attack vehicle. Buyers can opt for delivery of their new 2016 Chevy Corvette Stingray at the National Corvette Museum across from the plant in Bowling Green, Kentucky. Z06 buyers can also sign up to build the LT4 engine for their new Corvette at the Bowling Green engine facility. And a personalized dash plaque is also on offer to make the 'Vette truly your own. Considering the performance capabilities of the 2016 Chevrolet Corvette, there are few models that can compete with these fuel-efficiency numbers. The Corvette is available as a base Stingray or a Z06, each with its own engine and each offering a 7-speed manual or 8-speed automatic. The coupe and convertible models with each engine/transmission combination receive the same ratings from the EPA. The Corvette lives up to its long reputation for getting surprisingly good fuel economy for its performance level, owing to its ample torque and tall gearing. All models feature cylinder deactivation as well as tall top gears to help boost economy in low-load and high-speed cruising. The LT1-powered manual-transmission Corvette Stingray scores 17 mpg city, 29 highway, 21 combined; the automatic scores 16/29/20 mpg. The Z06 trades some economy for its prodigious performance: the LT4 backed by an automatic rates 13/21/16 mpg; the 7-speed manual is better, achieving 15/22/18 mpg. Just an awesome car: what an upgrade from previous models - a real alternative to other more expensive cars in this class. Only complaint: centre console should have more room for storage. The performance, the styling, the quality inside and out, the handling, and the economy is great. I have had a C5, C6, and now C7 and they just keep getting better. I smile every time I get into this car - it's awesome to drive - exciting, responsive, fast & gets great gas mileage! So I have a blast driving it and I can go almost 500 miles on a tank of gas. Looking for a different year of the Chevrolet Corvette?